Do you know this character? 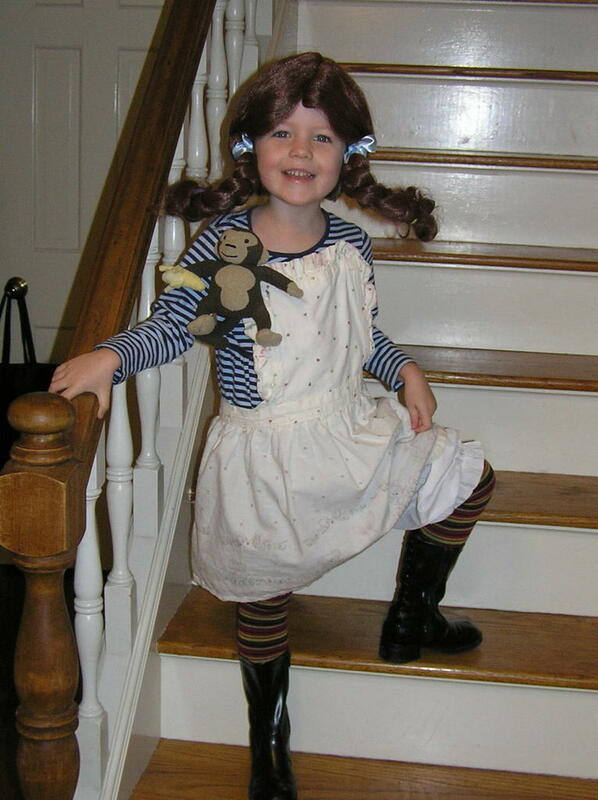 Lily went to a costume party this morning, and was disappointed that her peers had never heard of Pippi. The adults loved it, though. That's Mr. Nielson sitting on her shoulder, and you'll need your imagination to see Alfonso. He's right behind her. We couldn't get him to come all the way down the stairs. You know how stubborn imaginary horses can be. I'm borrowing the wig for a party this weekend, and I don't promise you'll see those photos. Great pic! Love Pippi Longstocking! Oh, got to have photos, Dawn. Yay, Pippi Longstocking was lovely. Lily is so cute!